The ex-wife of Donald Trump's new campaign chief executive Steve Bannon claims Bannon made anti-Semitic comments while the couple fought over which private school to send their daughters to nearly a decade ago. The allegations — which came to light amid scrutiny over the appointment of Breitbart News head Bannon to Trump campaign CEO —were made in a sworn declaration by the ex-wife in a 2007 court filing. The court declaration was filed in the midst of a contentious divorce battle between them that lasted 10 years. The divorce was initiated in 1997, but disagreements over schooling choices for the couple's twin girls brought them back to court a decade later. One of many documents related to the divorce case, the declaration sought tuition assistance and other child support for the couple's daughters. 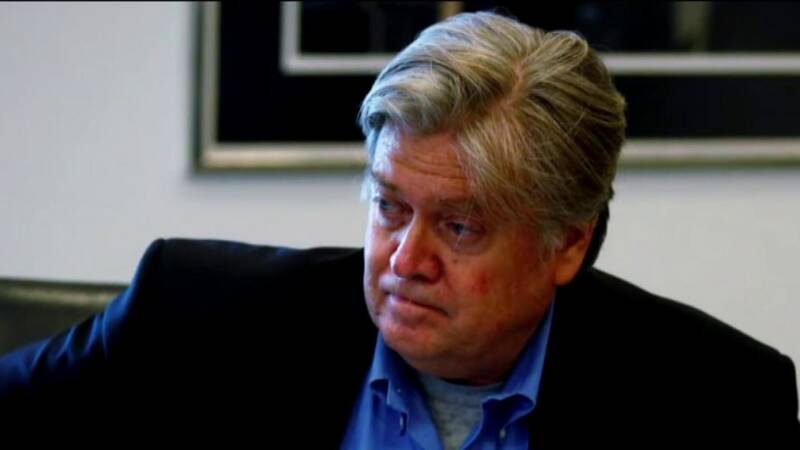 The revelation followed a separate bombshell: A police report regarding an alleged 1996 domestic violence incident obtained by Politico late Thursday and confirmed by NBC News, in which the ex-wife claimed Bannon attacked her. Bannon was charged with misdemeanor domestic violence, battery and dissuading a witness. He pleaded not guilty to the charges. Court documents show that about six months later, the case was dismissed after prosecutors said they could not find his wife. Asked about the old charges, Bannon's personal spokeswoman, Alexandra Preate, noted they had been dismissed. "Mr. Bannon and his ex-wife and his children have a great relationship," said Preate, who is not affiliated with the Trump campaign. Police say the report was made available to Politico by mistake. At one, Westland School, Bannon's ex-wife said he "asked the director why there were so many Chanukah books in the library." NBC News made multiple attempts to reach the ex-wife, but was unsuccessful. Preate denied the claims about Archer in an email to NBC News on Friday. "At the time, Mr. Bannon never said anything like that and proudly sent the girls to Archer for their middle school and high school educations," Preate said. NBC News reached out again on Saturday to Preate regarding the alleged comments concerning the other schools, but was unable to reach the spokeswoman. Unlike in the domestic violence case against Bannon, the ex-wife's allegations of anti-Semitism weren't supported by a separate police claim or report. 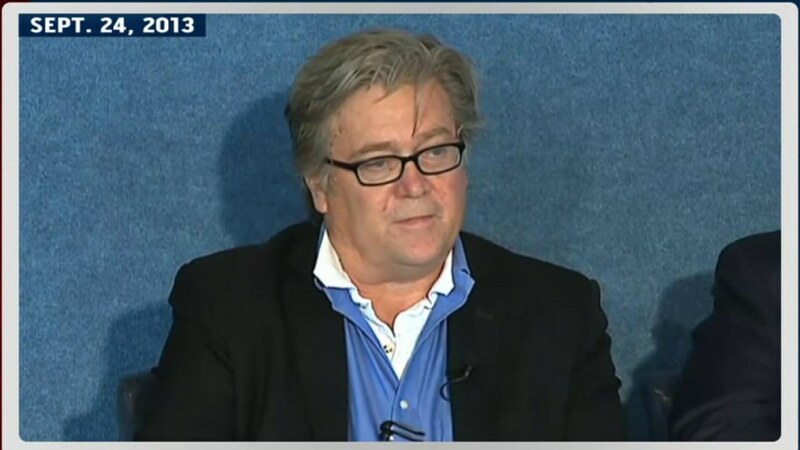 Those court records show Bannon was charged with three misdemeanors in Santa Monica, California, on Feb. 22, 1996, when the twins were infants. In the police report, the then-wife claimed that during an argument on New Year's Day about finances, she spat at Bannon and he "reached up to her from the driver's seat of his car and grabbed her left wrist." "He pulled her down, as if he was trying to pull [her] into the car, over the door," the report said, adding that Bannon also "grabbed at [her] neck" and that she slapped his face to free herself. The wife then tried to dial 911 and Bannon "jumped over her and the twins to grab the phone from her," the report said. "Once he got the phone, he threw it across the room." Police said they saw red marks on her wrist and neck and that she told them three or four previous arguments had also become physical. Bannon was charged with misdemeanor domestic violence, battery and dissuading a witness. He pleaded not guilty to the charges. Court documents show that about six months later, the case was dismissed after prosecutors said they could not find his wife. 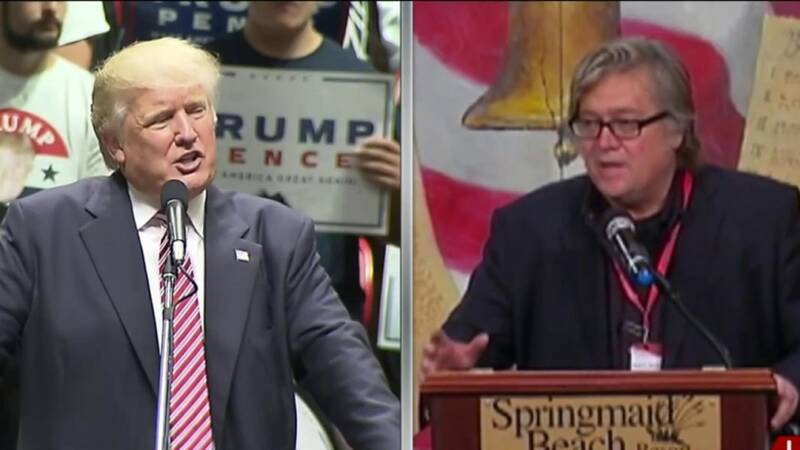 Bannon was appointed to Trump's camp last week, in the latest shake-up for the GOP presidential nominee's campaign. The Trump campaign did not respond to a request for comment on the domestic violence case on Friday.